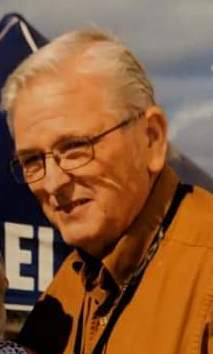 ELLAVILLE, GA --- Mr. Randy Wayne Childs, 68, of Ellaville, GA, passed away on Sunday, January 27, 2019 at his residence. Funeral services will be held on Wednesday, January 30, 2019 at 1:00PM at Still Water Chapel in Ideal, GA. Rev. Roy Peterson will officiate. Burial will follow in the Ellaville Cemetery. The family will receive friends at the home of Naomi Renfroe, 27 Lowery Road in Ellaville. Mr. Childs was born July 21, 1950 in Montezuma, GA to the late Lelia Iris Childs and William Owen Childs. He was meat market manager at Piggly Wiggly in Oglethorpe. Mr. Childs was an avid hunter and enjoyed reading. He was a simple man who loved his family. He attended Sand Bethel Baptist Church and Still Water Chapel. Survivors include his wife, Diana Childs of Ellaville; sons, Walter McNatt of Macon, GA, Jeff McNatt (Suzanne) of Statesboro, GA , Ben Childs (Dawn) of Lake Eufaula, AL, Joey Graham (Windy) of Ellaville; daughter, Tashawna Perdue (Clint) of Ellaville; brothers, Kenny Childs (Karon) of Ideal, GA, Mike Childs (Gail) of Canton, OH; sisters, Linda Hester of Manchester, GA, Margie Hinman (Lloyd) of Rome, GA, and Gail Broughton of Newnan, GA. Also surviving are grandchildren, Brandon McNatt, Emily McNatt, Owen Childs, Trinity Childs, Joshua Childs, Allen Childs, Dakota Childs, Austin Graham, Jayden Graham, Lucas Huff, Brydon Huff, Amanda Grace Huff, Louanna Perdue and Jacob Perdue. In addition to his parents, Mr. Childs was preceded in death by brothers, William Glen Childs and Charles Benjamin Childs. Pallbearers will include Owen Childs, Trinity Childs, Brandon McNatt, Emily McNatt, Bill Childs and Jamie Peaster. Memorials may be made to Phoebe Sumter Oncology Department, 126 US Hwy 280W, Americus, GA 31709.